We offer here a metaphor of the university as an ‘infinite game’ in which we bring to life insight, imagination, and radical inclusion; and resist the ‘finite games’ that can lead us astray. We suggest that keeping the infinite game alive within universities is a much-needed form of academic activism. We offer four vignettes that explore this further: our responsibility to be ‘critic and conscience of society’ and how that responsibility must also turn inwards onto our own institution, the dilemmas of being a woman with leadership responsibilities in an institution that proudly shows off its ‘top girls’, the opportunities we have as teachers to ‘teach the university’ and be taught by our students, and the contradictions we face as activist scholars in our relentlessly audited research personas. We draw on the infinite/finite game metaphor, our own affective experiences as tenured academics, and feminist critiques. Q1. What makes “great teaching”? A formative teacher evaluation system (based on continuous assessment and feedback rather than a high-stakes test) must triangulate a range of measures, from different sources, using a variety of methods. 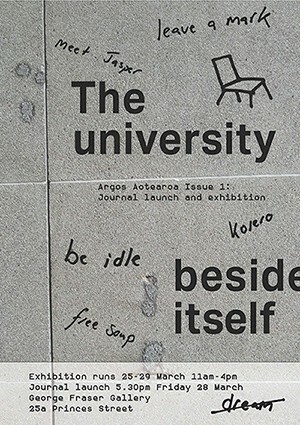 The Argos Aotearoa hypertext site is up and running at http://argosaotearoa.org. Argos aims to circulate writing about topical matters of public and political import that is local, critical and accessible. We believe critical intellectual conversation should be heard here in Aotearoa-New Zealand, not simply published for credit in international fora for more limited and specialised audiences. Of particular interest to us is writing that grounds its concern with the public or political good of place-making in theory or philosophy. The first issue of the Argos print journal is available to read and share at Argos #1. Hard copies will be available soon. 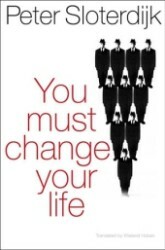 I’ve updated my bibliography of Sloterdijk’s writings in English again: see the post. 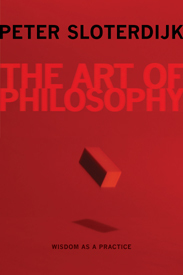 Not much has appeared recently, except the arrival of two monographs: The Art of Philosophy: Wisdom as a Practice (2012) and You Must Change Your Life: On Anthropotechnics (2013). Materiality has recently claimed centre stage in architectural discourse and practice, yet its critical meaning is ever receding. Tropes like material honesty, digital materiality, material responsiveness and dematerialisation mark out an interdisciplinary field where scientific fact and artistic experimentation interact, and where what in fact constitutes materiality and immateriality is constantly re-imagined. Interstices14 invites contributions that address the thematic strands: Immateriality; Atmosphere+Experience; Interactivity; Material Politics; Material Technology+Aesthetics; Material Referents. Immateriality: As a reaction to developments in science, materiality came under scrutiny with the emergence of nineteenth century German aesthetics (Vischer, Schmarsow) and the early avant-garde projects (Lissitzky, van Doesburg). Initiating an epistemic shift in art and architecture, these works pointed point to the connection between the concrete material properties of objects and their interaction with the inhabitant through psycho-physiological effects. From one of these early projects, this publication borrows its title – Immaterial Materialities – a term invented by El Lissitzky to describe the dynamics of our spatial conception, which could be explored through the design of imaginary spaces – possibilities pioneered by film and modern mass media. The inclusion of ephemeral elements such as light, line, colour, and media, reconceptualised materiality as an entirely dynamic category, a kind of ‘materialised energy’ (Vesnin). These ideas re-emerged transformed in the work of the Neo-avant-garde of the 1960s and 70s, and surfaced again in contemporary architectural debates. Atmosphere + Experience: Gernot Böhme thematizes the idea of ‘materialized energy’ under the heading of ‘atmospheres,’ which he sees as the fundamental concept of a new aesthetics in architecture. Questioning the primacy of vision, Böhme asks “is seeing really the truest means of perceiving architecture? Do we not feel it even more? And what does architecture actually shape – matter or should we say space?” Böhme points to the architecture of Herzog & de Meuron and Peter Zumthor whose works build upon material experimentation and foreground sensory qualities. “Atmospheres”, notes Böhme “are something that defines the human-in-the-world as a whole, i.e. his relationship to the environment, to other people, to things and works of art”. Interactivity: Considerations on our relationship with atmosphere and weather have informed recent projects, which deploy materials as mediators or activating agents that probe the relationship between audience/user and the physical environment: Spatial investigations with phenomena-producing materials such as water, light, colour and temperature experiment with the viewer’s experience (Eliasson); responsive high-tech materials interact with audiences (Spuybroek); ‘weather architectures’ (Hill), or ‘atmo architectures’ (Sloterdijk) technologically re-create nature as spatial experience and spectacle (Diller and Scofidio). Material Politics: Traditional materials such as timber and concrete have been re-imagined through the rediscovery of forgotten methods and connect us to the material traditions of historic regional architecture. Through the use of low-cost materials such as corrugated metal, Australian architects connect the beach house, the wool-shed, and industrial estates educing trans-historical, cross-cultural, and climatic associations by fusing the Australian vernacular with international modernism. In East Germany, architect Ulrich Müther’s material experimentation with cast concrete generated an aura of cosmopolitanism that stood in stark contrast to the visual monotony of the iconic ‘Plattenbauten’ (pre-cast concrete towers) promoted by the government; whereas in 1950s Bosnia, Juraj Neidhardt argued that a systematic re-arrangement of architectural elements could facilitate an interactive relationship between the heritage built fabric and the new Communist society. Material Technology + Aesthetics: Architectural experiments in material-oriented computational design explore the design potential of conventional construction materials. Waste material and natural materials are fused chemically, or mechanically-fixed, providing imaginative design solutions for technological problems. New composites with changed material and aesthetic properties are suitable for an extended variety of applications. The traditional visual language of tectonics gives rise to a plastic aesthetic that rejects discrete structural elements in favour of homogeneity and gradient – a language that is just beginning to be explored. Material Referents: In contemporary art, Liam Gillick uses materials and architectural elements that reference the universal modernism favoured in corporate architecture; plexiglas, steel, and colour aluminium connect “the project of emancipation of the avant-gardes and the protocol of our alienation in a modern economy”; these material fragments prompt the viewer to reflect on a range of, at times conflicting, environments, which can be read “as partial images that call to mind a range of other moments and environments” (Verhagen). It is precisely this “calling to mind of other moments and environments” that Philip Ursprung detects in Hans Danuser’s photographic representations of Peter Zumthor’s architecture. Danuser’s images evoke seemingly incompatible associations by revealing unexpected links between Zumthor’s atmospheric concrete spaces and the problematic, post-industrial spaces of Alpine power plants and cooling towers. Photography, as Barthes argues, entails a frictional encounter with the reality of an image; an invisible disturbance of the photographic surface. What is the validity of different approaches to materiality in relation to the vital problems of our time? Where do materials allow us to cross disciplinary, cultural, or other boundaries? Can materials be deployed to create environments which predict user behaviour and control social relations and experiences? Which trans-historical correspondences can be detected in contemporary approaches to materiality, and how do these challenge, imitate and expand on previous thinking? Submissions: Interstices: Journal of Architecture and Related Arts 14, “Immaterial Materialities: Materiality and Interactivity in Art and Architecture,” invites critical investigations of theoretical and historical content from academics, as well as practice-oriented contributions from content providers such as architects, artists and curators, that redress imbalances and missing links in the portrayal and debate of matters concerning materiality and interactivity in art and architecture from the 1920s onward. For the refereed part, we welcome submission of 5000 word papers and visual submissions with an accompanying text of approximately 500 words. For the non-refereed part, we welcome papers up to 2500 words and project reports and reviews of up to 1000 words related to the issue theme. Please check out the Notes for Contributors for details about the reviewing process, copyright issues and formatting for written and visual submissions. Please send your submission to Sandra Karina Löschke (sandra.loschke@uts.edu.au) by 3 March 2013. Authors accepted for the reviewing process will receive confirmation and a schedule of production in mid-March and the journal will go to publication in October/November 2013. Walt Whitman, “Shut not Your Doors,” Leaves of Grass: A Textual Variorum of the Printed Poems, vol. 2: Poems, 1860–67, ed. 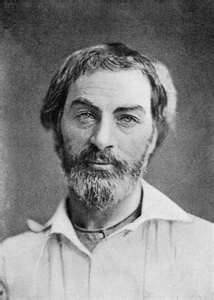 Sculley Bradley, Harold W. Blodgett, Arthur Golden and William White, Collected Writings of Walt Whitman (New York, NY: NYUP, 1980) link. New Zealand’s chance to become a world-leading economy could be on our wharves, with a true research university to rival Stanford. Stephen Turner and I wrote about this proposal in our essay, “Knowledge Waves: New Zealand as Educational Enterprise,” Australian Journal of Communication 38.3 (2011): 153-77; see my earlier post that links to it.